Fern Wickson is a Senior Scientist and Research Leader for the Responsible and Sustainable Biotechnoscience Co-Laborative at GenØk Centre for Biosafety in Tromsø, Norway. 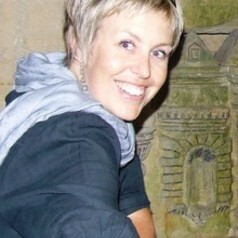 With an interdisciplinary PhD across the Arts and the Sciences from the University of Wollongong in Australia, she co-ordinates several cross-disciplinary projects exploring ecological and ethical aspects entangled in the environmental governance of emerging technologies (including bio- and nano-technologies). Fern is a member of Norway's national Biotechnology Advisory Board, a past president of the international Society for the Study of New and Emerging Technologies (S.Net), and expert delegate to the Intergovernmental Platform on Biodiversity and Ecosystem Services (IPBES).